These are some of the projects, events and learnings journeys we have done in the collective to give you a feel for what we do and how we work. In May 2018 we ventured deep into the swedish woods with 9 leaders, designers, intra- and entrepreneurs to explore regenerative leadership. How to design resilient regenerative organizations and integrate natures intelligence and the principles of life into design & Leadership. 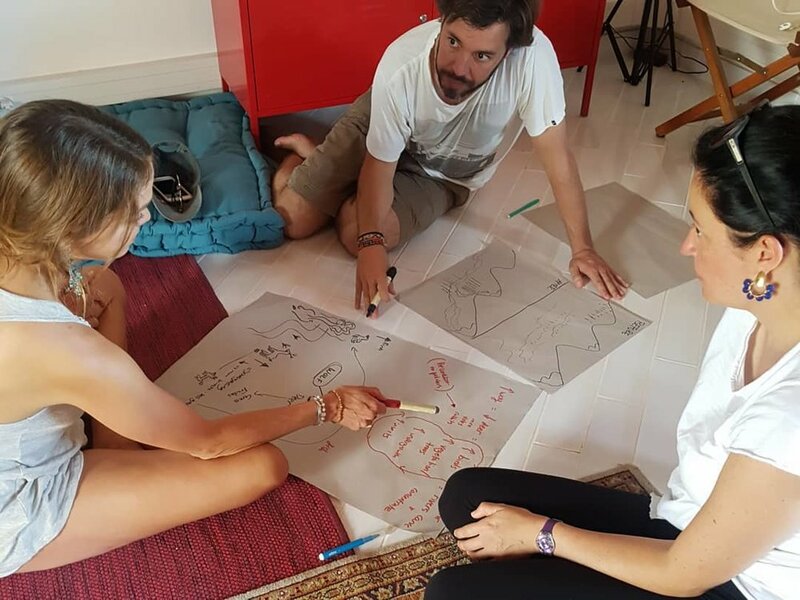 With Leyla Acaroglu, the founder of Unschool and the Coproject Farm, Laura Storm facilitated a 3-day Workshop for change makers on regenerative systems design, leadership, organizations and living. The focus was empowering regenerative change makers with the tools, insight, feedback and inspiration to take their journey to the next level. Laura Storm gave a keynote on the new leadership paradigm upon us, the 3 levels of learning from nature and how we can get to a thriving regenerative future. Nature's intelligence, biomimicry, inner & outer sustainability etc.